Apps, every smart phone and table has the capability to run them. Do you have any Las Vegas Apps on your device? Do you have the most useful apps? All of the apps we list are excellent and, best of all, (except for the for a few) they're FREE! That's the best kind, and there's not a bad one in the bunch. With the exception of two, all of these apps are available in both Android AND iOS versions. Just go to your devices' app store and download. The publisher is listed in parenthesis (). Blackberry users, we're adding them to our list as quickly as we find them. The list of apps is growing, so keep checking back. Right now, apps with a Blackberry version are listed on the fifth paragraph down. iOS Only: Vegas Mate - This app is the one we hear folks talk about and, while it does cost $1.99, it's an app that gives you a wealth of information to help plan your upcoming trip. With categories of Places, My Trips, Rate Search, Tourist Tips, Maps and News/Weather. You can custom build a trip, add events to your trip and do research. TravelVegas - This app features discounts on things to do, see, eat and enjoy while you're in our favorite city. They've handpicked the best discounts and included a full city guide to help you navigate your way around. With interactive maps and travel guides, this app will make getting around a breeze. Some of their specials include free drinks, gambling credits, dining discounts, half off show tickets and more. Las Vegas Map & Walking Tours (GPSmycity.com) - If you enjoy getting out and exploring, this app is for you. From their own website "Powered by the GPS technology, each walking tour offers accurate turn-by-turn directions to famous attractions, monuments and interesting sights as well as hidden gems; as if you had brought along a local guide." This is available on the full version, which will cost you. With the free version, you can view the walk descriptions and see the photos, but there is no navigation assistance. Video Poker.com Trainers - An excellent Video Poker trainer app by the folks at Video Poker.com and is sold by VideoPoker.com/Action Gaming. They have a 3/5/10 play, 100 Play, Super Times Pay. They do have an option to upgrade to a paid version which releases some of the more useful trainer aspects of the program, but it is basically, still free. Android Only: Packing List Lite - An excellent program that comes preloaded with different packing categories such as camera, swimming, food, toiletries, etc. You can start a category, such as Vegas Baby!, and list items you don't want to forget for your upcoming best trip ever. Then, when you've packed an item, simply touch the line in the list and it draws a line through the item, so you know that you've packed it. Blackberry - Here's a list of apps that you can find below that DO have a Blackberry version available. Check out the descriptions below for: urbanspoon, Evernote (which also has a separate Playbook version), Waze, Groupon, foursquare, TripCase and Open Table. Hotel apps include: Luxor (Macroview Labs), Hard Rock Hotel & Casino (Joingo, LLC), MGM Grand (Macrovision Labs), and Mandalay Bay (Macrovision Labs). We'll list more as we find them. Evernote: This is a great app for making note for your upcoming trip (and anything else important). You can install it on your phone/tablet/laptop/PC and if you edit a note on one device, it synchronizes the note across all the devices you have Evernote installed on. I've edited notes on my PC, then the laptop and phone are updated as soon as I finish. A great program! Las Vegas City Guide (Trip Advisor): This is probably the best site for opinions of those who have been to the places we want to visit. The app is heavy in pictures, which we like. One thing to take in consideration when reading some of the reviews: if someone really trashes a place and most other posters seem to like it, then we always disregard that review. You'll find categories on Restaurants, Hotels, Attractions, Nightlife, Shopping, Free Self-Guided Tours, and Learn About The City. Additionally, you can map directions from your current location by selecting a location already in the guide. A Great App! Vegas Party Stops (Island Time Innovations): An app dedicated to the "Art of the Party", that will help you get your party going and only $1.99. Start by selecting your current location, the app will tell you the vibe of your stop (College Party, Upscale Sophisticated, Nostalgic/Old School) rating it from 1 to 5 cocktail glasses along with a brief history and overview of the property. The app will also tell you what cocktail is recommended at the location along with a recommended bar or lounge. You can then select north or south and the app will tell you the location next to your current location and the same specifics of the new location. Also, the app contains exclusive drink specials for app users. You can go to their website HERE. TripCase (Sabre, Inc): You've planned your trip to Las Vegas, now, where do you put all your reservations, confirmations, and itineraries so their easy to find? TripCase! This has been a very easy app to use and for our upcoming trip, we have everything listed in one handy place. You create a trip (for our trip, a the Las Vegas sign showed for an icon) put in your flight information and the app populates the scheduled departure times, gate numbers (when they're assigned), aircraft type and your baggage carousel when you arrive. You select your hotel and the app populates the address, phone numbers, general information, property and room amenities. Same with the rental car information. When you're finished, your trip will show as a nice time line and you can select anything on the time line to edit the information. It's a really great app to have. We like it! You can check out the app on their website HERE. Waze (Waze Inc.): The full name is Waze Social GPS Traffic & Gas, but that was a long title. Waze is a community based traffic & navigation app. It will locate traffic problems, road alerts, police traps, and accidents all in real time, and help you reroute your trip if there is a problem. The app will also help you save money by locating the cheapest gas stations on your route . You can contribute information to Waze and let other "Wazers" know what is going on (speed traps, accidents, traffic congestion, etc). It is fun to see other "Wazers" around you on the live map as you drive. You can check out their website HERE. 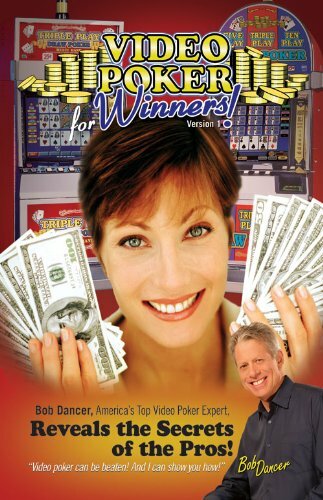 BlackJack Basic Strategy (Dan Pereda): This is a downloadable version of strategy cards sold in casinos that tell you the best play to make on each hand of blackjack, based on your hand and the hand the dealer is holding. PokerAtlas sounds like a good app for poker players. The app boasts a full listing of Las Vegas poker rooms, upcoming tournament series, cash games, events and member reviews.There is also a PokerAtlas Twitter feed at @PokerAtlas, The app is available for both iOS and Android devices. Hotel Apps: The developers are divided by the parent company of the hotel group. MGM, Caesars/Harrahs, Boyd, Palms and Wynn each have apps for their hotels, and the developer of the app is the same and many times the interface looks the same across all the hotels. Most of the apps show you the hotel rooms, where to dine, what to do, hotel maps, casino game information, and the groups' player's club card. My City Way - Las Vegas (BMW i)-Like the City Guide by Trip Advisor, this app is HUGE in what it gives you. It has 43(!) different categories with a huge amount of information. Just to give you one example, we selected the transit tab. It has sub-tabs of Airport Shuttles, Rental Cars, Taxis, Monorail, & Monorail Maps. If you select Monorail, the seven stations come up and when you select one station a Google map pops up showing the location and nearby points of interest come up. These tabs are deep in knowledge and they're tabs for most anything you need. Open Table Mobile (Open Table, Inc.) - Make restaurant reservations from your Android phone, Windows phone, Kindle, iPad/iPhone, it even has a Blackberry version! They have your OS covered. We've used the PC version to make reservations for our upcoming trips and it has always worked great. After downloading the app, set up your user name/password and start by setting up your favorites. You can look at the menu of many of the restaurants you want to visit and read diner reviews before you reserve a seat. Select your city (they have others besides Las Vegas), area of the city, and time you'd like to reserve and go. The right hand list only shows 20 restaurants at a time, just use the "up/down" arrow to get more results. Refine your search by cuisine, price, points or availability. You can also find restaurants based on your current location, then map their location. A very useful app. Foursquare - A social and money-saving app that allows you and your friends to share and save places you visit. It will also give you a personalized recommendation based on where you, your friends, and folks with similar tastes have been. Nearly 30 million people use Foursquare, so it's not an unknown app. The best thing about Foursquare is that when you go to businesses and "check in" on the app, many times you'll receive a deal from that business for checking in. It won't happen every time, but a free app and a little effort can save you a few bucks on your next best trip to Las Vegas. You can also have your check ins show up on your Facebook page. Available on iTunes, Google play, BlackBerry App World, and Windows Phone apps. Tix4Tonight (David Liao) - There are numerous locations of these kiosks in Las Vegas and they have saved many visitors quite a lot of money. They offer tickets to many shows and dining specials have also been added. You cannot pre-order tickets, as they do not get their allocation until the day they are offered, but get the app so you can see the daily offerings and have an idea of what ticket prices you can get once your in our favorite city. Groupon (Groupon, Inc.)-Select your local deals and be sure and add Las Vegas as another city. Living Social Deals (Living Social)-Have local deals and deals for Las Vegas sent to you. MLife (Bally Technology) - Keep track of your player's club standings, comps, and offers right on your device. Total Vegas (Caesars Entertainment)-You have access to all this group's hotels, shows & concerts, dining, nightlife, and bars. In the "Nightlife" tab, you can see how far you are from all the bars, nightlife, and dining in the Caesars group (right now we're 1946.1 miles away from PURE Nightclub). The dining tab is interesting in that in each restaurant you can see a picture, cuisine, phone number, distance from where you are, which casino it's located at, hours, and price. you can purchase them into your own music library. A great app! http://www.urbanspoon.com/go_mobile and type in your phone number, select your carrier, and urbanspoon will send you a text message with a link so you may install the app. Easy! Let Urbanspoon help you find a Las Vegas restaurant. Just click Spin to try your luck. To lock down a neighborhood, cuisine or price, click the padlock below the wheel. The Urbanspoon restaurant picker requires the Adobe Flash Player.Las Vegas restaurants on Urbanspoon.